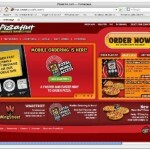 What’s with the trend lately towards pizza going high tech? First we have Pizza Hut letting you text message your orders and now we have Domino’s getting into it by announcing its recently released pizza ordering tracking service. What’s next – flying pies landing on your front door step? 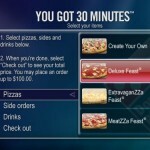 The Domino’s Pizza Tracker, much to the annoyance of its pizza delivery drivers, will let customers “follow the progress of their order online from the time they click the ‘Place Order’ button or hang up the telephone until the Domino’s delivery expert is knocking on their door.” To keep their drivers though from feeling like job performance is a huge issue (30 minutes or less?) you won’t find GPS trackers in the pizzas – management stated drive times will vary due to several factors, but you’ll at least know the pizza is on the way. 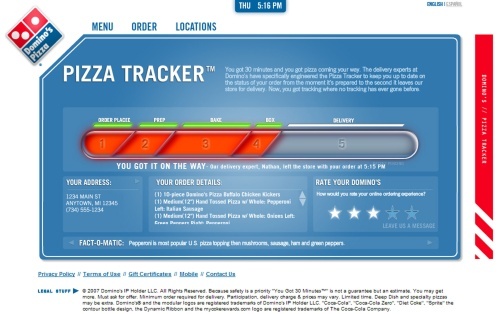 To keep yourself entertained while you wait for your cardboard in a cardboard box, Domino’s lets you track your order via a horizontal bar which lights red as each step is completed. You can also provide feedback on your specific order, which will go directly to the store’s manager for review. Here’s one – where’s the flavor in the pizza, dude?